A few years ago, I held a productivity session for a large group of managers who all had the same role but worked in different locations. 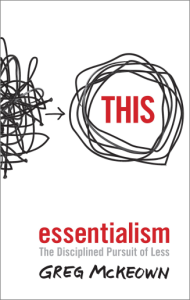 The session theme was Essentialism, which is (essentially) saying no to the things that don’t matter so you have the time and resources to achieve the things that do. I asked the group to list on large Post-it® notes their most important tasks. They came up with 43 – the walls were covered. As the great Anna Pavlova said: To follow, without halt, one aim: There is the secret to success. The performance of both individuals and teams suffer from having mixed priorities. So we shook things down, discussed the relative costs and implications of each task, and within an hour we had illuminated the underlying truth of good management, which is to do just three things. Recruit awesome people and support them. Problem solve to clear paths for your staff to get on with being awesome. And, without compromising your performance of the first two activities, do anything else (compliance, peripheral administration, contributing to strategic decisions, etc) to keep the team humming. But there is a fourth task – or, rather, a new first one – if the system in which everyone is working is fundamentally flawed (which wasn’t the case for those managers). Audit and redesign the system. I keep returning to this Edwards Deming quote, but its relevancy has not dulled. In other words, a flawed system prevents optimal performance by affected participants, so its manager needs to find a way to redesign the system. Examples of flawed systems at the big end of the scale are the health and education systems. Our health system is still a reactive sickness system, not a proactive well-being system. Our education system is still a qualifications factory, not a careers facilitator. Neither can be optimal until their purposes are transformed. But the systems I am most familiar with are those in which documents are produced. These sub-systems are much smaller and easier to redesign, and although I have seen many improvements during the past few years, I still see more flaws than flow. This is why I teach my Improving Document Production course, which provides managers with a simple process and supporting tools to set-up their writers to efficiently produce effective documents. How are you improving the systems you manage? Given the title of this article, I will assume you are a manager. If you understand Deming’s message about performance, have you invested in your own ability to design and manage an optimal system for your field of work? A system design improvement is exponentially more valuable than a one-off performance improvement by a worker within a system – just ask the folk managing the world’s 37,000-odd McDonald’s restaurants, or any restaurant manager who wants every meal served to be satisfying, timely, and profitable. Do you invest enough in your ability to improve the systems you manage? In the world of business writing, investment in designing an optimal production system is typically zero, which is why government departments and other large organisations still regularly deliver documents that are unsatisfying, untimely, and unprofitable. To book an Essentialism talk or workshop, contact Simon. 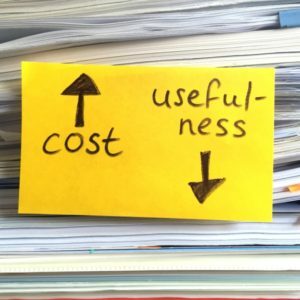 After more than a decade of working with other knowledge workers, as both a consultant and writing teacher, I have concluded that the cost-effectiveness of our writing outputs boils down to three crucial ingredients. These three ingredients result from behaviours – from what people do, not from what people think or say people should do – and while I don’t know anyone who advocates for their opposites, a team that is openly and consistently expected to achieve these three activities will produce better outputs for lower costs. To help you to achieve these activities in the writing work you are involved with, here is a brief clarification of each one. The success of any activity is intimately influenced by the quality of its goal. If the goal is clear and compelling, the activity is more likely to be successful – and achieved for a reasonable cost – than if the goal is unclear or arbitrary. A clear goal is the starting point of a clear brief, and a clear brief is an essential tool for anyone wanting to write as effectively and efficiently as possible. If a brief is loose in any way, a writer will write more than is necessary – and take longer to do so – and the superfluous material will either dilute the effectiveness of the document if it isn’t edited out, or further increase the cost if it is. So, the quality of a document (or other form of writing output) depends on the performance of both briefer and writer. 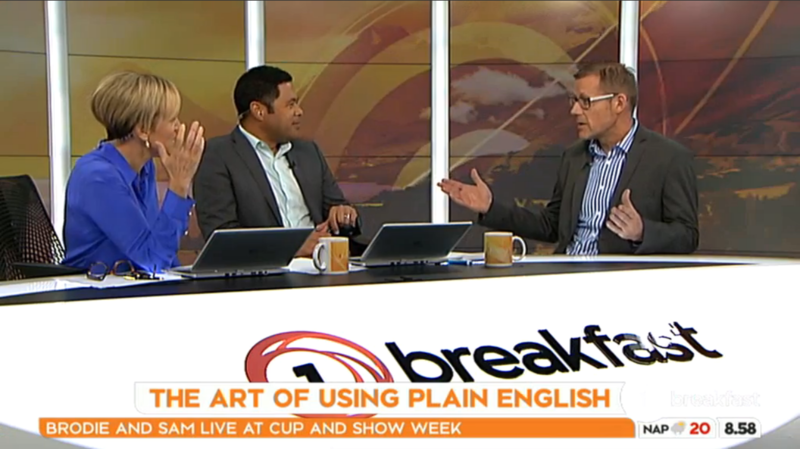 In my experience, organisations that appropriately re-value the influence of briefs enjoy tremendous productivity gains. A loose brief is a recipe for wastage with a single writer, and that influence grows exponentially with every extra person permitted to contribute to the output. Let me make an important distinction here. I am not talking about the number of people contributing to decisions about whatever goes into an output – a five-person brainstorming session may identify optimal content more effectively and efficiently than a sole writer – I am talking about the number of people actually writing, reviewing, editing, and authorising the output. 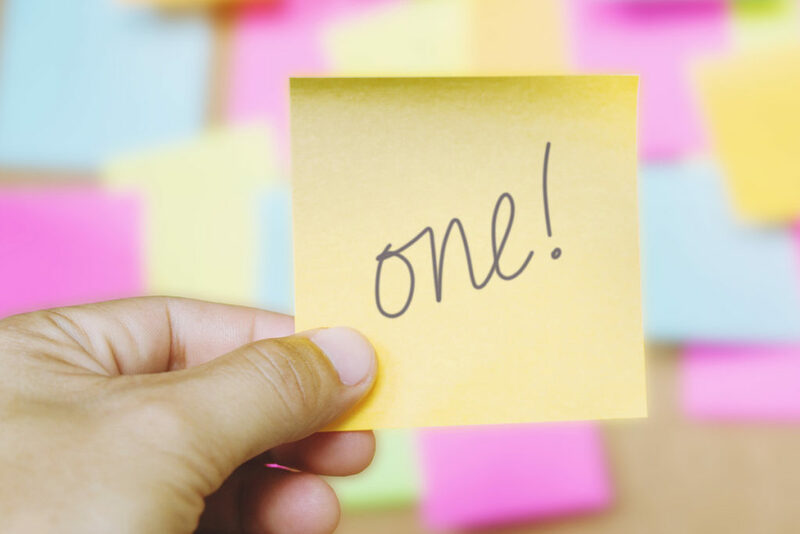 In government departments, where writing teams are the norm, improving this process represents a huge opportunity for improving the cost-effectiveness of writing outputs and, due to the prevalence of such work, the entire organisation. In my experience, it is still common for people who have not received the brief to be invited to edit or rewrite material, which defeats the purpose of the brief and leads to unnecessary and inconsistent content, and expensive rework. Not surprisingly, it also tends to frustrate the briefed writer (or writers). Every hour not spent rewriting is another hour available to think-up better content in the first place. Excellent writers tend to think and consult widely, and draft and polish sharply. In today’s information overloaded context, pretty much all information needs to be designed for consumption. If you think of information like clothing, it makes sense that if you have a multitude of options for what clothing to buy and wear, you will choose something well designed rather than merely functional. The same distinction – and choice – applies to information. Clothing stores often contain a ‘basics’ range, so not everything has to be overtly designed, but unless an item of clothing is designed for comfort, ease of use, and attractiveness, as well as for its basic utility, it is unlikely to be bought or worn. Too many documents are difficult to read, difficult to navigate, and boring to look at. They are not tailored, so they are passed over by all but those paid to labour through them – an excessively costly exercise. So, I encourage you not to rely on auto-pilot, that is, writing how you have always written or as you are implicitly instructed by an out-of-date template. Rather, pop your designer hat on every time you write and, without reinventing the wheel or flouting branding guidelines, design your valuable information appropriately for its purpose, audience, and context. Meet Simon at Clarity2016, the plain language conference for law, business, and government, Wellington, 3–5 November 2016. Large organisations all produce large amounts of information, but how much of it is useful and how well is it being produced? The documents are typically generated by a committee of sorts, not a lone writer. The quality of outputs is usually variable, but the cost is almost always high. This is because the core writing process is bloated with accumulated layers of well-intentioned contributions (from multiple briefers, reviewers, and authorisers). Because our ability to consume information is limited, costly information goes unread. In government agencies, it is common for more than a dozen senior staff — in addition to the writer(s) — to contribute to the production of even a relatively simple ministerial briefing. This explodes costs without a commensurate boost to the quality of outputs. Producing too much information increases cost and makes the extra information unusable. Most organisations ignore the fact that humans cannot usefully consume unlimited amounts of information. In corporate environments, it is also common for large teams to produce exhaustive documents (such as business cases, sales documents, or board papers) in which the audience’s need for critical and concise decision-making information remains unmet, or is buried in swathes of non-essential ‘padding’. Instead of all this effort leading to excellent outputs, the busyness usually obscures responsibilities and leaves writers confused about what they should write, for whom, and to whose satisfaction. Office workers, like all of us, work within systems whose influence cannot be overestimated. When managers determine that documents are costing too much in relation to their usefulness, they often respond by sending their colleagues to a business writing course (such as my Writing Essentials course). But the performance of those colleagues is bound by the quality of the document production system they work in. Until the system is improved (or, more likely, transformed), the outputs of the system cannot consistently improve. For example, a system that allows loose briefs is one that forces writers to guess and ensures costly rework (drafts, edits, reviews). So, before you send your writers to a writing course, I encourage you to attend Nakedize’s new, leader-focussed Improving Document Production course. In one day you will learn how to design and operate an optimal document production system. Clever knowledge workers transformed the manufacturing sector (think Toyota and Total Quality Management) decades ago with this kind of approach, and it’s long overdue for the knowledge sector to take its own advice. I have learned over the years that not all branding is equal — or even positive. For many organisations — even large, well-established ones — the myriad manifestations of their brand (from signage, to uniforms, to business cards, to the words and tone used by a receptionist) can communicate an undesirably wide range of messages. Some of those messages are positive and ‘on brand’, others are not, and this is why I audit brands as well as design them. A great brand should positively serve a business, just like any other business asset. But in most organisations there is no one qualified to determine the current value of the organisation’s brand. I perform brand audits to provide clients with an expert opinion — and a fresh and independent perspective — on the value they are receiving from their branding. Problems take many forms. Often it is brand elements at cross-purposes. Sometimes it is as simple as a poorly conceived and designed logo, but more often it is the lack of rules and coherency around the use of a logo. And sometimes the problem is that important brand elements, such as signage, simply don’t exist. For example, several of years ago I performed a brand audit for Otago University. While their printed material and website were well looked after and consistent, it became clear the same could not be said for their way-finding and signage system. There was no standard, each campus had different designs, or there was no signage at all. It was the norm for students (and other campus visitors) to get lost and have to ask for directions. I concluded the organisation needed a new way-finding system, one for all campuses. This system now directs students and others around without the previous anxiety, and the university’s logo, which features on the signage, has lifted the university’s profile. I urge you to consider a brand audit for your organisation. It really does make good sense.